Here is a Nissan Frontier prerunner bumper we fabricated for a client that drove in from California. The best part of being in Vegas is our clients can have a little vacation while we do some fabrication for them. They headed into town and dropped off the truck and we went to work. 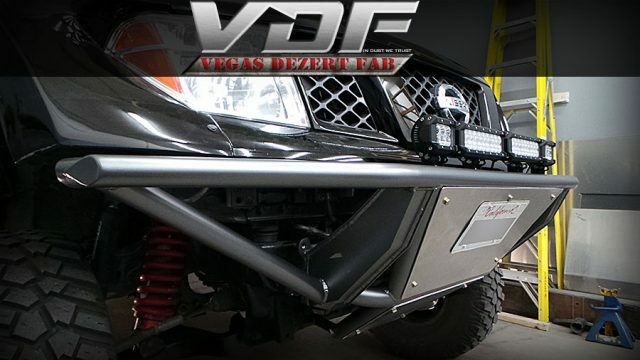 This bumper was fabricated using 1.75″ .120 wall tube and 1/8″ aluminum for the skidplate. It also features boxed frame mounts for tons of strength. If you want us to fabricate a prerunner bumper for your truck contact us today.